Discussion in 'GTS Online Racing & Leagues' started by GTP_Nail, Sep 25, 2018. This is a series for those who love the ‘Ring! We meet every Wednesday afternoon and evening at 1330 and 2030 respectively, US Central, at the Nordschleife for races among friends. We use BOP/not tuned cars with Heavy Damage. If we are short of drivers we BOOST race for two laps just for giggles. On week 1 the race is 45 minutes,on week two its 90 minutes,on week 3 we do a Two hour race. On the fourth week of every month our primary race is 3 hours. All races will be followed by boost madness of course. we will try to maintain the previously posted schedule but the above will be the fall back so you KNOW what we will be doing. All races over 90 minutes have a single mandatory 5 minute pit stop to simulate a driver change. The Driver Change pitstop may not be in the first thirty minutes of the race. If you fail to complete the 5 minutes due to leaving prematurely you must complete the stop on your next lap and complete the time. This is friendly, but intense racing. If you have some body "off" or you run wide (out of bounds) you MUST concede. What is important is that we have fun and learn from each other and treat each other with respect. Occasional touches are OK, but if your touch is really a big bump or it causes the car you were following to go off line or lose time...fess up and concede. If your contact results in damage to the other car and he is forced to pit to repair damage, you must follow him to the pits and pit with him. You may refuel and change tires but you may not use that penalty stop as your driver change. Pit stops: a mandatory 5 minute stop simulating a driver change is required for races 90 minutes or longer. Start : We pace to a predetermined point on the track single file and then go from there..
Track: Nordschleife and an occasional night race on the N24. We may also go to a different track on the first week of the month if the membership wishes. 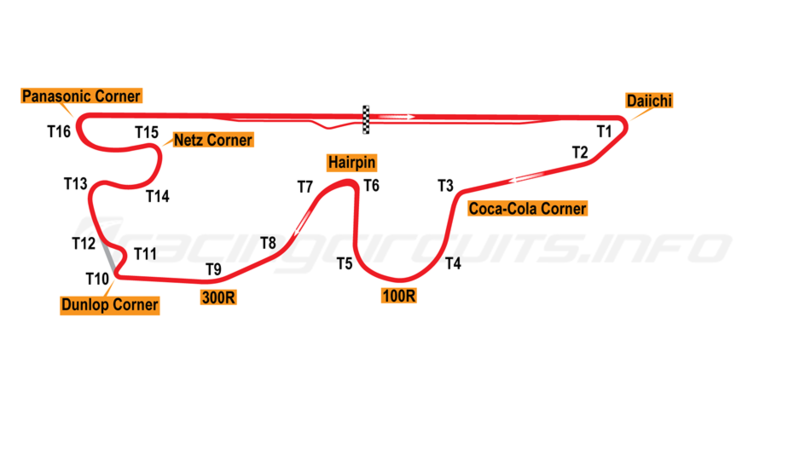 Thanks to Argon for the following track maps with sectors and corners. Danyutz, Macboyilija, potvinsuks and 2 others like this. If you think you might be interested post here and we will get you an invite to our informal convo where we chat. This thread is used to announce the times and details of our races every week. potvinsuks and roamer2629 like this. The poll is cranky tonight....vote your preference for Sunday racing on the new choices. Unless the poll dictates otherwise we will eace Gr3 at Fuji. Room will open around 1200 at Fuji for a 2 hour romp in Gr3 cars. Back to the Nordschliefe this week. Shoulder stiff but not painful... but notup for 2 hours...will be next week. Great fun with our practice for the WRS Special event....we drove Gr4s in 4 lap sprints and then finished with a 10 lapper. We started with a chat with @MasterGT and @Goldomor and ended with 7 or 8 as people dropped by. Great fun to be back on track. Decided to sign up for the event, hoping my pedals stay kind. GTP_Nail and hirnsauger69 like this. anyone want to due a Fuji Practice? Room coming up in 10 min. Tomorrow at 1330......90 min at the Ring either gr4 or 3. One stop. Race will be preceded and followed by a two lap GT 89 GRMN boost race just to get the juices flowing and to let you leave smiling. Ten minutes between races. Second race reverse grid. Be there or be bored watching Football Wannabe Weekend. Yuk! @roamer2629 Javier will be there with his wheel. OMG! Javier with a wheel. Lock up thewomenfolk! I think we should get the new guys to post here Ned. We need a place to direct them for Sundays. What do you say? Race followed by standard short 2 Lap boost races w/o damage....or moral restraint. let us know if you plan to attend. Room opens 1200 Central USA ...race @ 1330.